I've sworn to myself that this blog would focus on Southern Tuscany, and on Southern Tuscany only. And as I'm never slow to break any good resolution I ever came up with, here's a post about Florence. It's Natural History Museum just didn't seem to get enough exposure on the web without me. 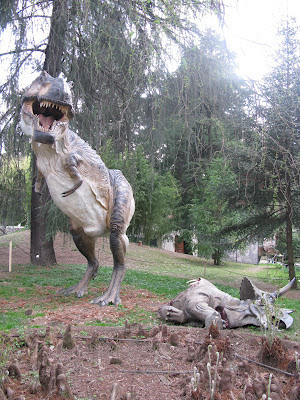 Right now (spring to autumn 2012) the museum sports a show on dinosaurs. Preferably you visit the museum once it is over. No, it isn't badly done. Not at all. It just had the same effect on me as Steven Spielberg's dinosaur movies. Unlike E.T., I still haven't been able to watch Jurassic Park in one go (and I'm normally not one to fall asleep during movies). I can see that the dinosaur triology gets five star votes from people who live on dinosaurs, but does it really work for anybody else? And it's not just me. Whilst my kids ask for mercy when I frighten them into sleep with stories of carniverous Tyrannosaurus Rex, the up close meeting with the exemplar of the species at the museum's botanical garden made my five-year-old daughter... yawn. Poor old T Rex. I could literally hear his ancestors turning over in their graves. I already knew that our Southern Tuscan olive grove used to be populated by mollusks whilst whales were swimming through Montalcino's famous vineyards, but I was totally oblivious of the fact that at the same time huge elephants ruminated the Arno valley between Florence and Arezzo. I'm in awe every time somebody finds a fossil of a shell when ploughing trough a Tuscan vineyard or sunflower field. So imagine how the people in the 1950s must have felt who, when preparing the grounds for a new vineyard, stumbled over a guy later named Pietro. The elephant was lying only a few centimeters under the ground neatly packed away with most bones intact. Looking at Pietro at the Natural History museum and imagining the scene still makes my jaw drop - much more than any plastic dinosaur will ever manage to do. And if you're a bit of a nostalgic (and I guess anybody who enjoys paleontology must be) you'll also like the museum's set up. Some of the exhibits still carry explanations that have been written by typewriter. From my kids' perspective typewriters must have been invented by the people who shared their hunting grounds with Pietro. Didn't come to Florence to meet elephant bones? I do understand. Part two of this post will make sure you'll get your Renaissance fix by taking you to the family museum at Florence's Palazzo Vecchio. More about it exclusively on your Southern Tuscany ONLY blog. It's a short walk from Florence cathedral. Follow the signs to the Galleria dell'Accademia along via Ricasoli, where you'll probably be passing a long queue on your right and then cross Piazza San Marco to get to Via La Pira. You just came for the Uffizi? You'll be surprised to hear that some of the stuff hanging around the National History Museum used to be part of the Medici Collection that later found its home in the Uffizi. 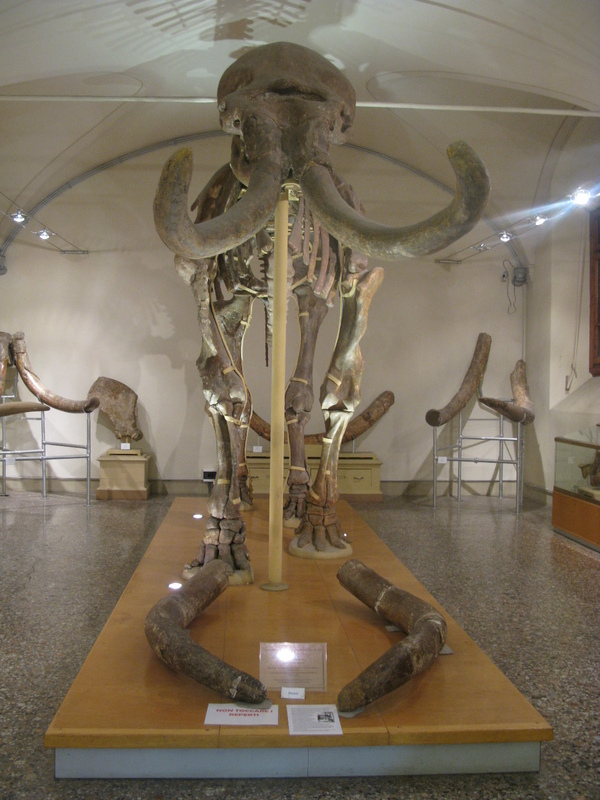 Other museums in Florence: Museum lovers like me, will want to check out Arttrav's website. None of the people I send to Florence is allowed into the Uffizi without a print out of Arttrav's guide to the Uffizi on hand. Because I know what happens otherwise: they try to see the Botticelli and then - exhausted with the crowd and the tall Russians in front of them - spend the rest of the time in the museum cafeteria.